A major deadline looms for New York City parents: If your child is to enter kindergarten in fall 2015, you must submit you public-school applications by Feb. 13. Some parents can breathe easy, knowing that they are zoned to a high-quality public school and should receive placement. But for other New York parents, this is a time of high anxiety as they figure out their best options, rank them on their application, and hope the stars align just so — or their number comes up in one of the lottery-entry schools. Everyone wants a strong neighborhood option. But what if you live in Harlem, in District 5, whose schools have not historically performed as well as in other districts? What are you going to do? Harlem educator and parent Voyka Soto decided she’d start her own school. I spoke with Soto about Harlem’s educational landscape and how she organized other educators and parents to create an IB framework charter school, Sofara International. We also spoke about racial and socioeconomic isolation for students and the difficulty she’s faced to charter Sofara International. Soto envisions the day when all Harlem children can stay in their neighborhood to receive a first-class education. So must we all. 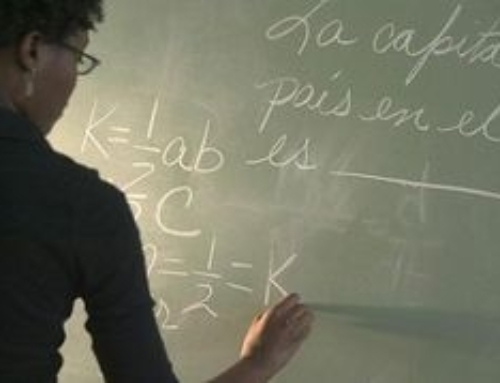 How would you describe Harlem’s educational landscape? From the perspectives of an educator, a former UFT chapter leader, a Harlem resident and mother of elementary aged children, schooling in Harlem is wanting. Currently, Harlem, from 96th Street to 155th Street, has a fair amount of diversity in K-8 schools. I can see in the near future Harlem being the “place to go for school choice.” We have everything from magnet schools to charter schools. With that said, however, there are just not enough options in quality innovative schools. Administrators have to understand that even with the best programs, parents talk, parents make unannounced visits, parents investigate. We know when there is high teacher turnover; underexperienced and undersupported teachers; overbearing, inexperienced administrators who care more about their egos than our community children; high rates of English-language learners not being serviced properly; high rates of students with disabilities with no direct programming to meet their needs; and school pass rates on state tests at some schools in the single digits. We also see yearly school surveys are taken, but no action to address issues is made at the school level. We are waiting for someone to truly look at our populations and individual schools and determine what they need. I give thumbs up to Chancellor Farina for committing to having some Harlem schools receive additional services. Shameful, though, is the idea that best practices in a high-performing school should be transplanted to an underperforming school. While one or two practices can be transplanted, the rest should be innovative, relevant, and tailored to the needs of that one school community, but they’re not. The pressure to “move” kids often leads to cutting corners and cheating students of their right to a fair and equitable education. So, as a result of all these things, half of our parents choose traditional public or charter schools and half, those savvy enough to parlay an opportunity or have a few cents to rub together, put their children in private/parochial schools. Therefore, we not only have racial isolation in schools but socioeconomic as well. How would you describe Harlem’s educational landscape vis-a-vis the rest of New York City? As compared to New York City, Harlem is an island unto itself, educationally. A few blocks down and the landscape of schools begins to change. Demographics change, and therefore the academic experience changes. We all read the report about NYC being the most segregated school district in the country. So, again, schools are restricted along the lines of race and economics. No one has been brave enough to revamp the DOE district lines. At the same time, charter networks are carving out territory on the left, and everyone else on the right. Co-locations seem to be the biggest issue. Truth be told, the Bloomberg administration reorganized all of the city’s large schools into smaller ones. So, while charters are co-locating, you can also find buildings where two and three traditional public schools are co-locating. For the Sofara team, a grassroots group of Harlem parents, we see charters as a great opportunity. We see the addition of Sofara International Charter School as a game changer for Harlem. Right now, is it possible to get a great public education in Harlem? I have experience with both traditional public and charter public schools. Good, possibly. Great? Only if you’re lucky. Sofara may never have been conceptualized if it was possible to have a great public education in Harlem. The parents who gathered to ask our local elected official for help with their school two years ago didn’t think so. The parents who came together to do the research, visit high-quality schools, and create the foundation for Sofara don’t believe so. The parents who cross district lines for a school don’t think so. The parents enrolling their children in private schools don’t think so. The parents homeschooling don’t think so. The new families that you see getting on the trains in the morning to travel to downtown schools don’t think so. The thousands of parents on charter-school wait lists looking for a better opportunity don’t think so. Luckily I have my two sons in a great public school in Harlem, but still out of district for us. I can tell some really sordid parent tales that include principal retaliation, changing IEP mandates without permission and so much more. Describe your dream public school. Is this school possible in New York City? In Harlem? The Sofara team has designed the dream school, and we are ready to do what it takes to see it realized. Our mission and vision are very clear. Outside of Sofara, I’m just not convinced. We are looking at the here and now as well as the future needs of our children. An international model is necessary because we are already living in a global economy. Harlem needs a school like Sofara whose students will be ready to meet global demands. We provide progressive models molded to fit our children. We are proving what all parents dream of in a school. Our emphasis is on nurturing and building, not on molding or homogenizing. That way we are not just talking about closing the achievement gap. We are building capacity and setting expectations of excellence. This is what progressive education can look like. Programs and best practices and all the money in the world can’t make a dream school. A visionary leader willing to advocate, innovate, support, and inspire; teachers and faculty that are supported, valued and allowed to take risks to facilitate student learning; a core education plan that addresses the needs and skill set necessary for the life our children will lead; and a school environment that considers sensory input is what creates a dream school. I’m an international educator with a master’s in international curriculum and instruction from the Foreign Affairs Spouses Teacher Training Program. I have taught internationally and domestically but always with special-needs or high-needs populations. I have always worked in leadership roles to develop and pilot programs, develop and improve school departments, and create new school plans and was fortunate to have been part of the founding of an international school for special-needs children. I’ve been a lead teacher, committee chair several times, and worked on systemic reform at two schools, both of which were working toward accreditation. 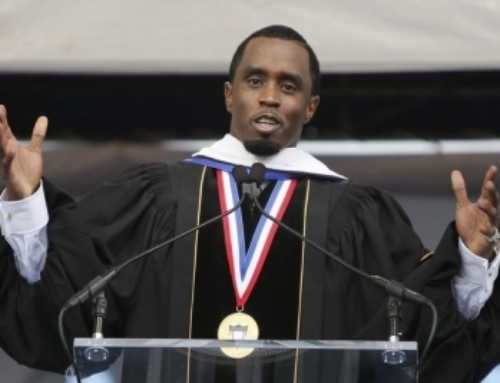 Fortunately for Harlem and Sofara, I also happen to hold an International Baccalaureate Organization certification in teaching and learning, making me uniquely qualified to start up a school such as Sofara International. Tell us about Sofara International. How did you know it was time to create a new school? Given the experiences we had as parents, we knew we had to do something for our children. The parents with boys seemed to be the most concerned. The climate we live in now is aggressive. Stop and frisk. Skittles and hoodies. “Hands up; don’t shoot.” “Black lives matter.” Elementary-to-prison pipeline. It’s scary. Sofara represents parents taking a sincere interest in their children’s future and controlling our own destiny, so to speak. We don’t want to be in the crosshairs of a political war. We don’t want others telling us what’s good enough for our children. For us, the achievement gap represents opportunity and experience gaps that are not being addressed in our local schools. We decided the Band-aid solution wasn’t for us; instead, we wanted to get at the root of the problem. With this in our minds, Sofara International Charter School was planned with the needs of the community in mind rather than planning a charter and plopping it down in the community and trying to get kids in the door. From the parents on the front lines to the three different community boards that encompass District 5, Harlem is resolute that it wants foreign-language, global-minded education, STEM, and real-world experiences for our schools. Sofara has designed its educational program to encompass each of these within an international context that incorporates a global perspective. We have done this through the inquiry-led International Baccalaureate framework that allows students to apply what they are learning in a natural, real-world way. Even the foreign-language program to be implemented was chosen to meet this purpose, as it teaches through the content rather than as an isolated subject. Sofara International is the dream school, and it will be free. Why the IB framework? How is it superior to other approaches? The IB framework is like no other. Many confuse it as being a curriculum, but it’s not. IB started with the Diploma Program (DP) at the high-school level as a way to prepare students for college, and it has become world-renowned and sought-after by college-admissions panels. The IBO now has four extremely well-developed programs of study. After the DP was created, the IBO looked at how to even better prepare students by looking at what middle school students would need to make the DP experience even more powerful. The same was done when it came to creating the elementary-school program. Now a second high-school program has been added that enables students to truly take hold of their destiny and be prepared for the real world. What parent doesn’t want this type of continuum of consistent, rigorous, quality education? Our children will have free-flowing discovery and experiential learning, communication skills that include foreign languages, real-world application of the skills learned, the development of successful leadership habits of mind, and the ability to be real leaders in the globalized world they will be a part of. The IB speaks to all of this. What obstacles have you faced as you’ve tried to open this school? Sofara has been its own main obstacle. Our programming is apparently so rigorous and progressive that we have been asked, “How will these kids be able to…” We were born out of the needs of the community, so Sofara can seem like an alien force compared to the cookie-cutter, replication mindset. An innovative approach to teaching and learning through an international focus is rare in public education, so helping the authorizers feel safe with what we are about to do is our biggest challenge. For example, in designing Sofara, we looked at what skills and habits are needed to be successful in the leading emerging domestic and world markets and looking at what will keep our children on the cutting edge of industry opportunities. That’s a hard concept to swallow when the only thing that comes to mind about our children is that they can’t read and write. We’re not about the deficit approach to education. We’re more of the bootstrap, “Yes we can” approach. We’re about instilling the success-driven habits of mind. Other than being our own obstacle, as an independent “player” in the charter school game, it has been difficult to get respect, so to speak. We have certainly been recognized and acknowledged, but we are kind of the David in the room of Goliaths who no one takes seriously. To boot, the networks and replications are safe, whereas Sofara is a game changer. This is not stopping us, though. We just keep looking for ways around the obstacles. 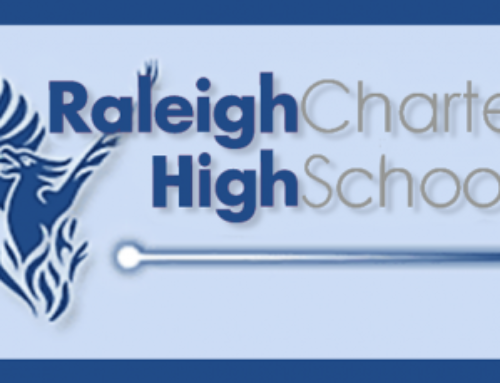 What are the advantages of charter schools? The disadvantages? Opportunity. Harlemites care as much as any parent about their children’s education, and charters represent a level of choice that wasn’t there before for our community and the city. There are thousands of children on the waitlists to our charters, trying to gain better opportunities. More importantly, there is the opportunity we have in deciding what type of schools we want in our community. Instead of fighting co-locations and demonizing charters, I’d like to see people get behind us and help us lobby for the types of programs we want and need. Let’s ensure innovation. On the flip side, many, including myself, worry about the elementary-to-prison pipeline continuing through the charter schools. Little districts unto themselves are being created without enough independent school choices beside them such as Sofara. So our choices are becoming network schools or public schools. Also, when there is an issue at a charter, we need authorizers holding charters accountable sooner rather than later. In Harlem we hear stories of everything from padded rooms to embezzlement. Ultimately, understanding a school’s philosophy around engagement and discipline is key before enrolling your child. Have you always been a proponent of charter schools? If not, what changed your mind? No, I wasn’t always a proponent of charter schools. However, I have always been a proponent of high-quality education. I have witnessed indifferent and apathetic administrators and teachers who don’t care enough to effect any change, instill any rigor, or have any desire to push children forward in life. As a UFT chapter leader I witnessed and experienced the ugly side. Once I decided that I was sick and tired of being sick and tired, to quote Ms. Hamer, I looked for a solution. It wasn’t a difficult choice. Starting a charter school would allow the bonds and chains of a repressive system to be broken and to make something of the futures of our children. I wish some of the biggest naysayers would try it as well. Break free and innovate. 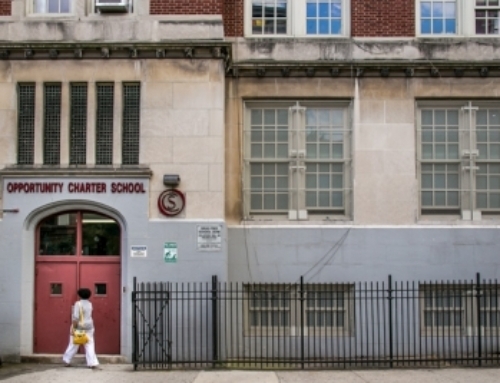 How would you assess the charter-school landscape in New York City? What is working? What is not? I have a limited view as a candidate seeking authorization. We do know that holding students to high expectations is working. Having a clear vision and focused mission for schools is working. Exposing students to the world beyond their own, including the collegiate one, is working. Adding back extracurricular activities and artistic programs is working by increasing academic progress and student motivation. Letting go of the farming school schedule has also had its benefits. Ultimately, though, allowing educational visionaries to actually innovate, without fear, and get a school going that adds depth to our educational landscape is what’s working! As an industry, however, oversight must be active no matter how autonomous charters were meant to be. You can put programs in place and get high test scores without doing much for the children you are serving. Asking charter schools to continue to innovate to meet the changing needs of students based on the changing needs of our city or country or world would be fantastic. That is the true test of success. What are our children really able to do or become in the real world based on the education they’re getting? Would you open Sofara International as an independent school? The short answer is absolutely. We want to build a superior-quality international school that will enrich the lives of our students, families, and community. It is needed, and it is time. However, neither I nor the Sofara team want to do that. We truly designed Sofara with all the community children in mind and want a school that’s accessible to everyone; otherwise we are no different than the elite private schools. The majority of our families can’t spare the $40,000-per-year price tag for a wall-to-wall International Baccalaureate school education. Yet they deserve one. The Sofara Team is moving forward toward authorization. We are considering the feedback we received from NYSED, tweaking our design plans and building greater capacity to deliver on our promises. We are growing our network and resources and will continue to work with NYSED. For us there is no turning back. We are ready to build a next-generation 4D school, and we will find a way to make it happen. I invite everyone to join the movement!